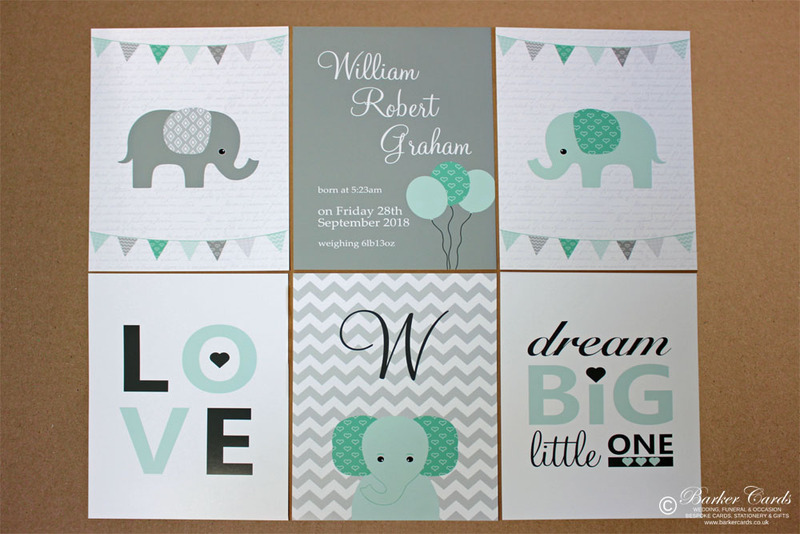 This super cute set of six mint green and grey elephant wall prints would make a great addition to any nursery or child's bedroom. Bespoke designs available on request. 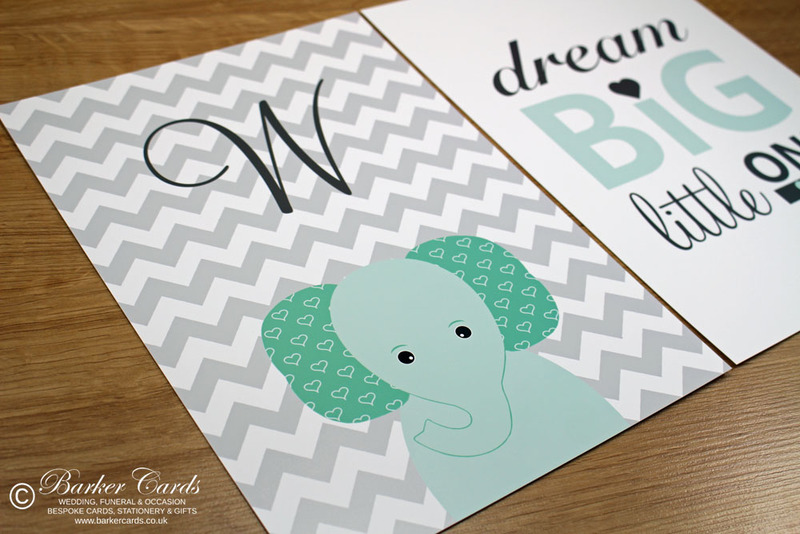 Each print is A4 in size (210mm x 297mm) and features your baby's name in full, the initial of their first name, date and time of birth, and their birth weight. If you have a particular quote / phrase / poem - or other details that you'd like printed, please get in touch and we'll do our very best to help. Other colours available - please contact us if you have a specific request.